Champaign, IL – How faithful is the film Dunkirk to the actual events that transpired on the beaches of France in May of 1940? What circumstances led up to the evacuation, and what were its ultimate impacts? History professor John A. Lynn II will give a talk from the stage of the Virginia Theatre immediately following the 1:00 P.M. Sunday, August 20, screening of Dunkirk, taking questions from the audience. Admittance is included in the price of the movie ticket. 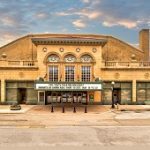 The historic Virginia Theatre in downtown Champaign is screening director Christopher Nolan’s 2017 film, Dunkirk (1 hour 46 min, Rated PG-13), from a 70mm wide-screen print, Tuesday through Sunday, August 15 through 20, 2017. Show times are 7:00 P.M. Tuesday through Saturday and 1:00 P.M. Saturday and Sunday. 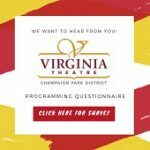 General admission tickets are $8.00 each and may be purchased at www.thevirginia.org, at the Virginia Box Office, or charge by phone at 217.356.9063. Doors open one hour prior to each screening. Presented by the Champaign Park District. John Lynn is Professor Emeritus of History and Political Science at the University of Illinois Urbana-Champaign. He was previously a Distinguished Professor of Military History at Northwestern University, from 2009-2012. He served as President of the United States Commission on Military History from 2003-2007 and Vice-President for the Society for Military History, 2005-2007. Professor Lynn received his B.A from the University of Illinois at Urbana-Champaign, an M.A from the University of California at Davis, and a Ph.D. from the University of California at Los Angeles. In 2017, Lynn received both the Samuel Eliot Morison Prize from The Society for Military History and a Public Scholar Grant from the National Endowment for the Humanities. Dunkirk (Warner Brothers, 2017) was made by the critically-acclaimed director of The Dark Knight Trilogy, Interstellar, Memento, and Inception. Shot on location in France, the film tells the gripping true story of the tragic WWII battle where 400,000 British and allied soldiers were evacuated from the beaches and harbor of Dunkirk. Christopher Nolan largely avoided computer-generated effects in the filming process, instead using reconditioned war planes and ships from the actual period. With Tom Hardy, Kenneth Branagh, and Cillian Murphy. For more, visit www.thevireginia.org or www.dunkirkmovie.com.